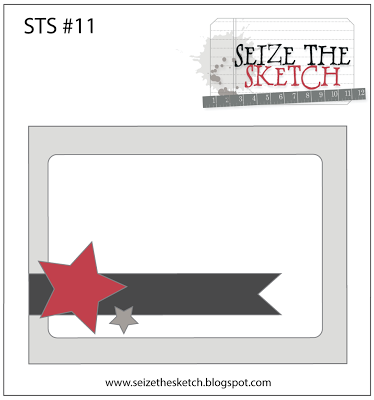 I've joined in another challenge at Kraftin' Kimmie Stamps - sponsored by Seize the Sketch. I pulled out another Kraftin' Kimmie stamp that had been uninked - Joanie. Coloured with Copic markers. Thought I would go for the pink look. If you look closely her eyeshadow is sparkly thanks to copic Spica clear pen. Here is the sketch to inspire my card. Super cute stamped image and coloring.